The Andre Agassi endorsed Tech Challenge Huarache returns in an all new 'University Blue' colorway. The never before retro'd Air Tech Challenge Huarache has been previewed in several colorways, none more unique than this 'University Blue' edition. A combination of grey and university blue take care of the Huarache-styled upper, working together with white over the laces and midsole below. 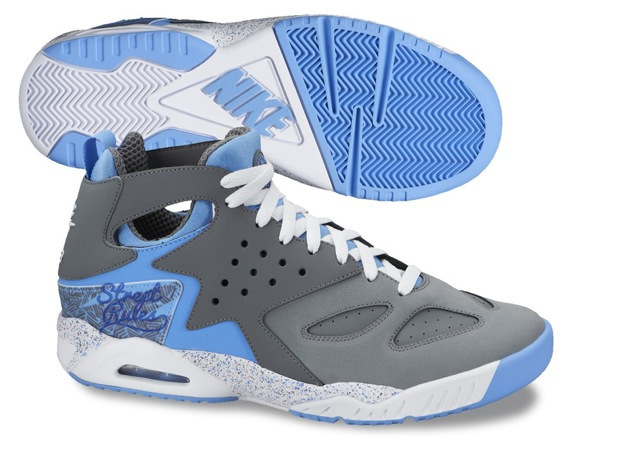 Stay tuned to Sole Collector for further details on the 'University Blue' Nike Air Tech Challenge Huarache.